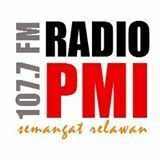 PMI stands for “Palang Merah Indonesia” (Indonesian Red Cross). The idea to establish the Radio Station was to help the local community better understand about the function of the Red Cross and also especially for disaster awareness as our region is one of the most threatened areas by Earthquake and Tsunami in the World. We live the the front of Megathust Mentawai, the Seismic Gap of Subduction Zone in Mentawai. Geology, earthquake and tsunami’s experts from around the world believe that there is potential for a very high risk of disastrous earthquakes and tsunami in the area, click here for a detailed report and study on their findings. The question is not if but WHEN will this happen? There are no exact timeframes that have been predicted as there is no equipment that can do the exact predictions. In fact, no one really knows when the disaster will strike. Given this background, we realized that the most responsible thing we could do to assist our community was to come up with ways to keep our community ready for the disaster. Through radio broadcasting, we want to make our community better understand about earthquakes, tsunamis and most importantly, teach and remind them what to do when an earthquake or tsunami hits and what to do after the disaster. Radio broadcasting also plays an important role during and after a disaster. Learning from past experiences, telephone lines become jammed during the disaster and Radio becomes an important communication tool. More so, when a massive earthquake hits, the probability of a Tsunami coming is almost very certain and it will come in a very short space of time, which we usually refer to as the “Golden Life Time”. In our case it’s about 10-20 minutes. This period is an important period for the local community to receive as much information as possible and we believe our radio station will play an important role in this regard. At the moment we have some pre-recorded files, which explain what to do during and after the earthquake. We play them every day. Thanks to SAM Broadcaster Pro so we can program the pre-recorded files on air continuously at specific times. We also play other files on some other subjects related to Health Awareness. We are grateful to be supported by Spacial Audio and once again thank you. Is your radio station also making a positive impact in your community? If yes, please feel free to share your story by sending an email to marketing@spacial.com.We will share your share on our blog, we will link back to your website and we will share your article on our social media platforms. In addition, we will reward you with our Stylish Spacial Mug. Extraordinary stories might also stand a chance to win a Free SAM VIBE subscription for a year.